Join us as we take on the saga island aka Iceland. We will spend the week capturing the essence of what Iceland is all about. We will take you to the most amazing locations the land of fire and ice has to offer. 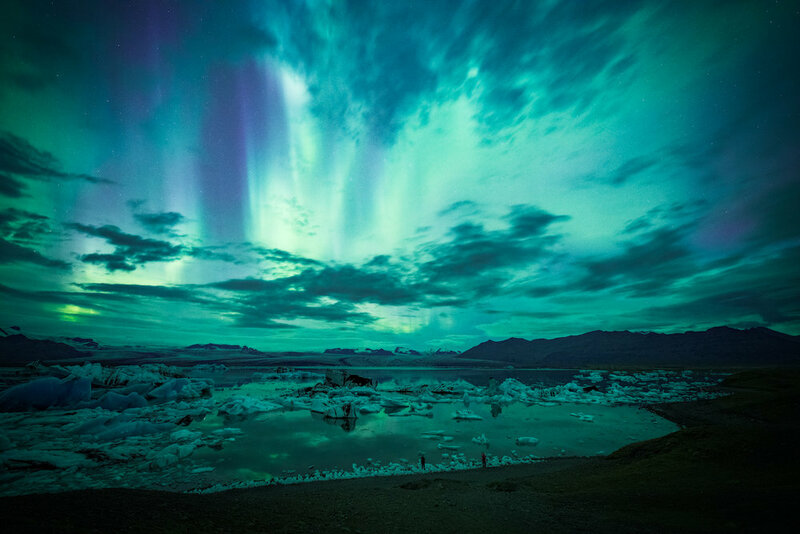 Should we be lucky, we will both witness and capture the elusive aurora borealis. It will be a week you won´t forget! When joining Rachel and Roy, you will be in the hands of enthusiastic professionals with a passion for landscape photography. Rachel is a member of the Sony Alpha Imaging Collective and is well-known for her fairytale-like night images. 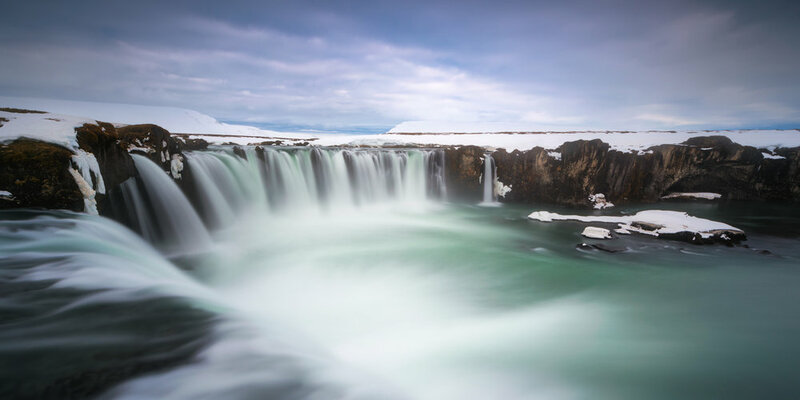 Roy is a talented nordic photographer based out of Norway, and with his extensive knowledge of Iceland you are in for some amazing locations. 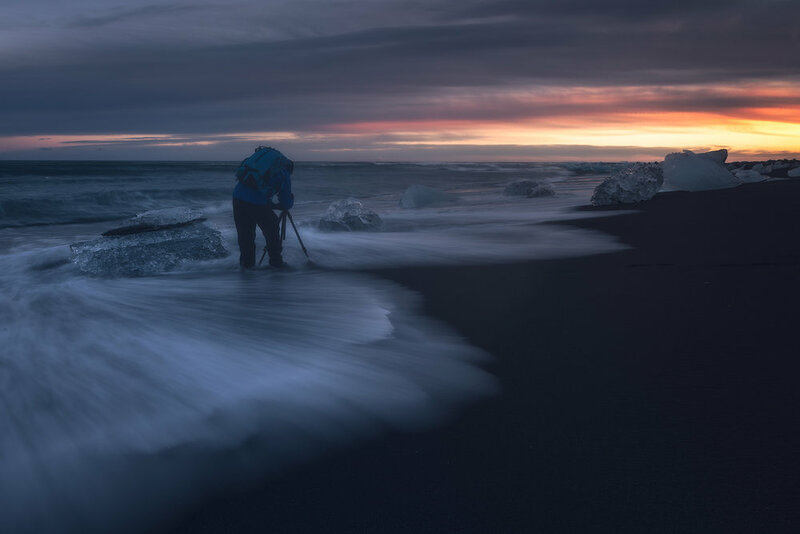 Throughout this workshop, you will be guided through some of the most amazing locations Iceland has to offer, as well as learning cutting-edge techniques infield as well as in post-processing. The full price of this tour is 3390 euros, and is due 60 days prior to the tour. Paying it all at once, or the deposit of €800 will reserve your spot at this tour. If you want your own room, that is an additonal €600. The workshop has taken my landscape photography skills to a new level. For the first time, friends and family member are asking me for prints to put on their walls. During this week-long adventure at the saga island, we will visit a series of epic locations, spanning from Grundarfjordur in the west to Stokksnes in the east. The diversity of the Icelandic landscape will give us plenty of opportunities to really unfold ourselves as landscape photographers. We will visit mighty waterfalls, as well as black sand beaches. Should the weather be on our side we will get to witness and capture the aurora borealis aka the northern lights. If you ever wanted to see the kind of landscape you have seen in Game of Thrones, Star Wars or even Prometheus, this is the country to visit. Iceland is a gold mine for us landscape photographers! We will pick you and the other photographers up at Keflavik International Airport, or any nearby hotel. We start our adventure at Snaefellsnes peninsula, where we start off with a sunset shoot followed by a hunt for the northern lights, so make sure you are prepared for an explosive start to this week. 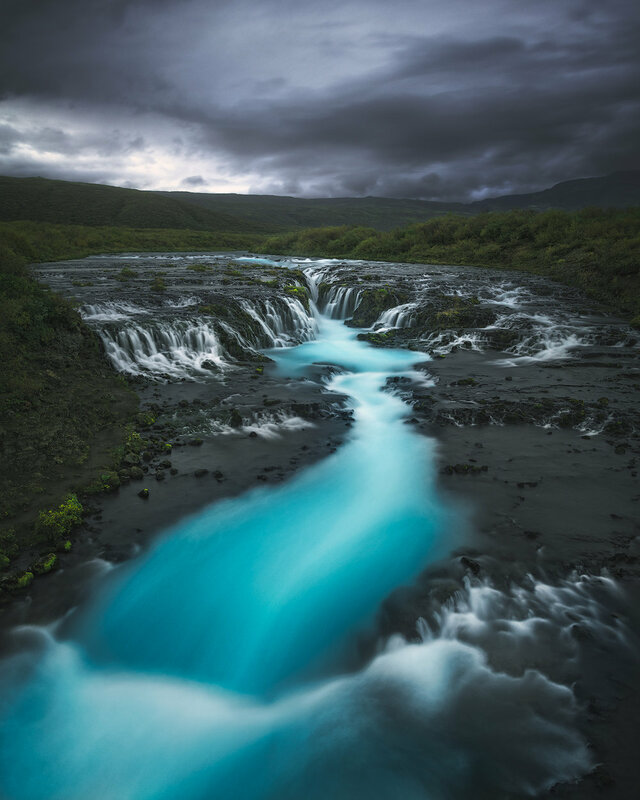 As the days pass we will work our way from the Snaefellsnes peninsula to and through the southern coast of Iceland, where we'll find mighty waterfalls like Seljalandsfoss and Skogafoss. As a landscape photographer you wouldn't want to miss the chance to visit the glacier lagoon, Jokulsarlon - don't worry - you won't! And at the end of the road, we will shoot the majestic Stokksnes at the south-eastern corner of Iceland. This will be a week you won´t forget and if you have a visit to an ice cave on your bucket list, you´ll most likely get to check that item on your list. When it comes to food, we will stop by several convenient stores as we go, this is where you´ll snack up for long days. Dinners are something we do together every day. Transport from and to Keflavik International Airport (KEF), accommodation at for the duration of the workshop, photography guiding both in the field and also post-processing session. Breakfast where included. Also not included are any private insurances and any costs required to travel to and from Keflavik International Airport (KEF) from to to your home location. Iceland is a Nordic country with a population of 335 000. The majority of the people lives in the capital Reykjavik. The country is famous for its volcanos, glaciers and hot springs. It is not a surprise that one of the major industries are geothermal power. In addition to the geothermal power industry, Iceland also does well in tourism and fish processing. Did you know that the landscape in Iceland has attracted Hollywood as well? Movies like Batman Begins, Star Wars: The Force Awakens, Interstellar, and Prometheus has been partially recorded in Iceland. And it is also worth mentioning that some scenes of Game of Thrones also is filmed here. This workshop will be held during the winter, so Iceland will dressed in a snow. Iceland is also known as the saga island, and for good reason. The country is famous for its tales about Vikings and elves. We are going to Iceland for the beautiful landscape and of course the wide span of different light. - You should bring a camera you are comfortable using. We recommend you to bring a camera with full manual control as well as interchangeable lenses. - We will be photographing a variety of locations, so having a selection of lenses to chose from is nice. A wide-angle lens, as well as a telephoto lens, is recommended. It is also highly recommended that you have an ultra-wide-angle lens with an aperture of f2.8 or faster to capture the aurora borealis. A full frame equivalent range from 14mm to 200mm is recommended. - Since part of this tour is about capturing the night sky as well, you will need a sturdy tripod to be able to do long exposures. If you don´t own one, you can rent one from us. - Filters are optional but recommended. - A laptop able to run Adobe Lightroom is highly recommended as you will be able to receive personal tutoring in that application. Make sure you have the latest version before you arrive. - Extras like batteries, memory cards, and lens cloth are also highly recommended. Batteries will drain fast in the cold. Iceland will be at its peak of winter at this time and temperatures will most likely be cold. The weather can change very fast, so proper winter clothing is necessary. Being able to protect ourselves from the elements is key to a successful workshop. A good set of base layers, mid-layers for warmth such as fleece and down. A shell jacket and quick-dry hiking pants will help to protect against the elements as well. Good snow boots or insulated hiking boots are advised. Having a warm hat and gloves is essential. A face cover, such as a balaclava, may also help you to be more comfortable in windy conditions. We will spend a good amount of time outside in the dark, so bring a headlamp. 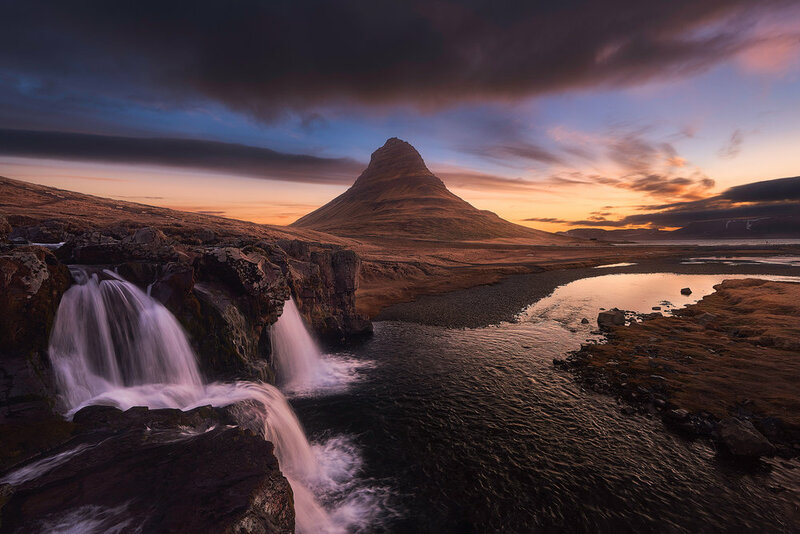 We will start our journey at the Snaefellsnes Peninsula and make our way from places like Kirkjufell and Londrangar, to Seljalandsfoss and Jokulsaron. The end of our journey east will be at the famous Stokksnes. A detailed itinerary will be sent prior to the workshop. Payment: €3390 Based on double occupancy. You will be sharing the room with someone of your gender, unless anything else is agreed upon. Single room is €600 extra. The deposit is €800. All payments are done via our booking system where we accept all major credit cards. Arrival: Keflavik International Airport (KEF). March 25th, no later than 1pm. Departure: Keflavik International Airport (KEF). March 31st, after 1pm.